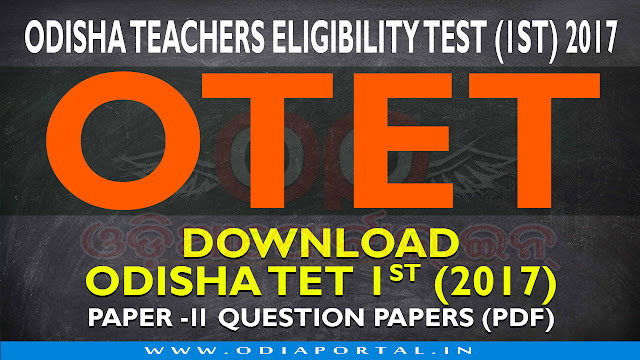 Board of Secondary Education, Odisha's Odisha Teacher Eligibility Test is a Eligibility test similar to OSSTET & CTET. The 2017 OTET Exam Was Held On 25th Sep 2017. 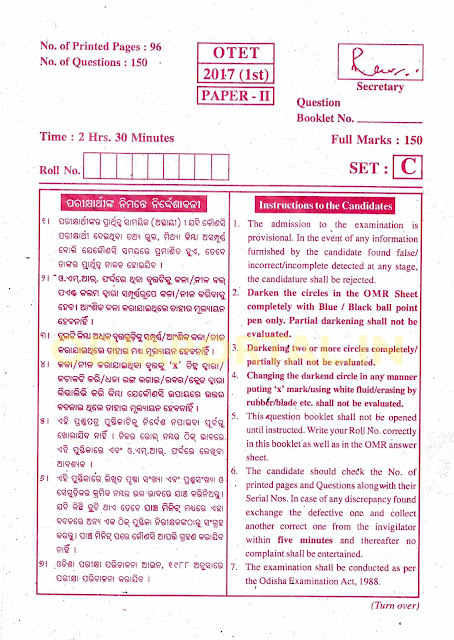 The following is the Paper-2 question paper PDF files for candidates who are practicing for upcoming OTET Examination. PLEASE NOTE: This Question PDF only available on our "Odia Question Bank" Android App for Free.